20 April 2016 — Western Digital Corporation today announced the expansion of its award-winning color portfolio with a new line; WD Gold datacenter hard drives. WD Gold datacenter hard drives are designed for a broad range of applications – including small- to medium-scale enterprise servers and storage, and rack-mount datacenter servers and storage enclosures. Don’t forget to read our comprehensive review of the 8TB WD Gold drive! Improved power efficiency – New electronics enhance power efficiency up to 15 percent. HelioSeal technology enables up to 26 percent lower power consumption . 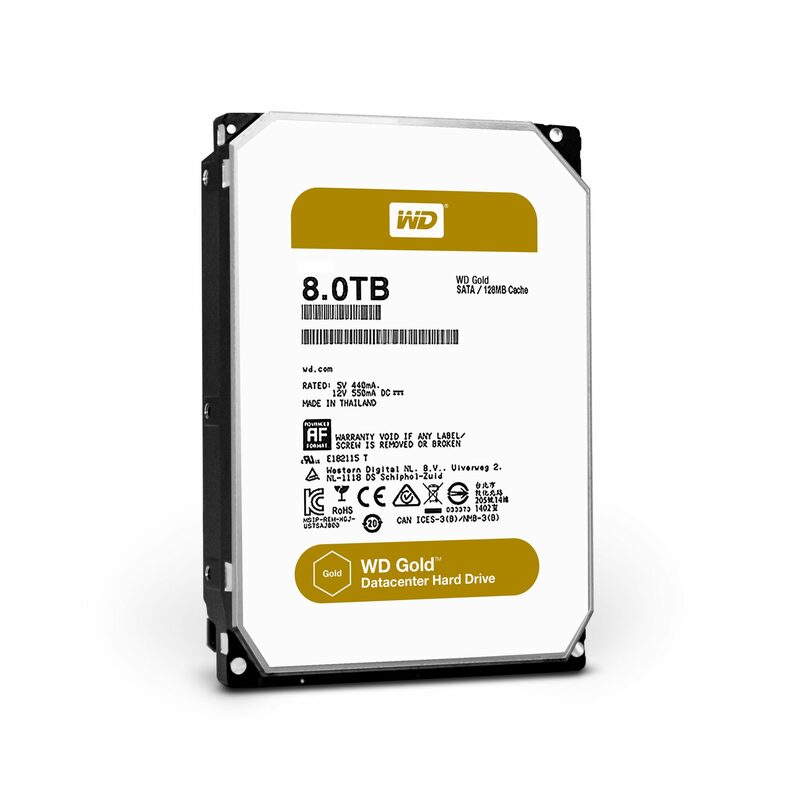 Dedicated Premium Support Line and WD Gold Model Numbers – Western Digital offers a 24/7 premium support line for WD Gold customers and can be reached at U.S.: (855) 559-3733; International: +80055593733.